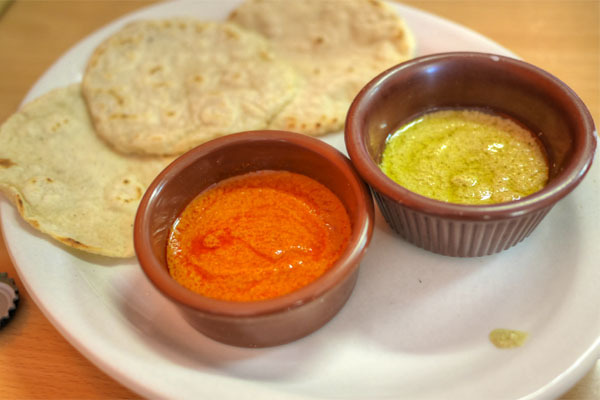 From La Estrella, we headed over to mole specialist Las Molenderas, a relative newcomer to the Boyle Heights dining scene. Named after the women who grind maize for use in tortillas, the restaurant opened in July last year and is the work of Marisol Feregrino (née Morales) and her parents Lucio and Estela. 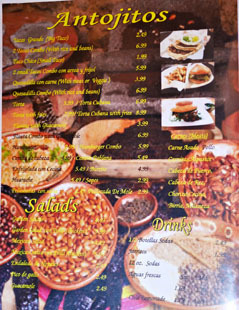 Inside, it's a small, brightly-color affair, with a few tables out front and the kitchen taking up most of the building. 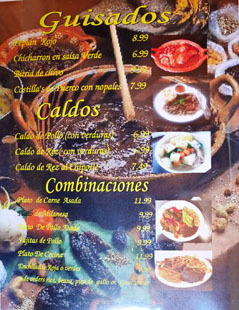 Las Molenderas' menu is appropriately mole-heavy, though they do have plenty of non-mole dishes as well. Be sure to order off the chalkboard menu too. Click for larger versions. Feregrino was out front working the room, and quickly brought us some moles to sample. First up was the 20-ingredient Mole Poblano, a sweet, smoky, spicy, intensely flavored sauce with a forceful chocolate-y presence. 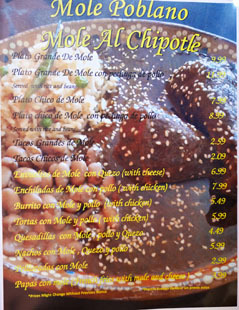 Next to it was the Mole al Chipotle, which was even more robust, with a more palpable heat and a stronger smoke character. The moles were soon followed by two house pipianes. 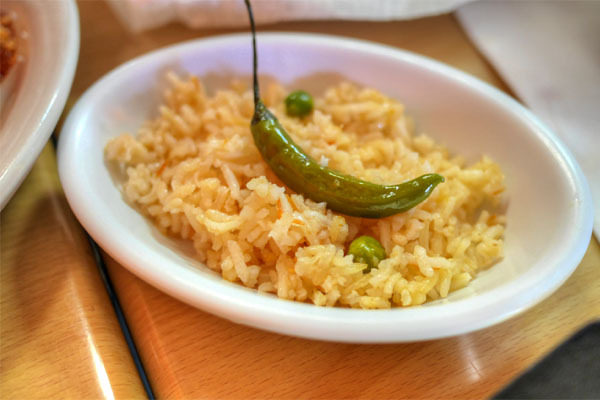 Pipián Rojo was the spicier, more piquant of the duo, while the Pipián Verde was tangier, lighter, with a stronger nuttiness to it. 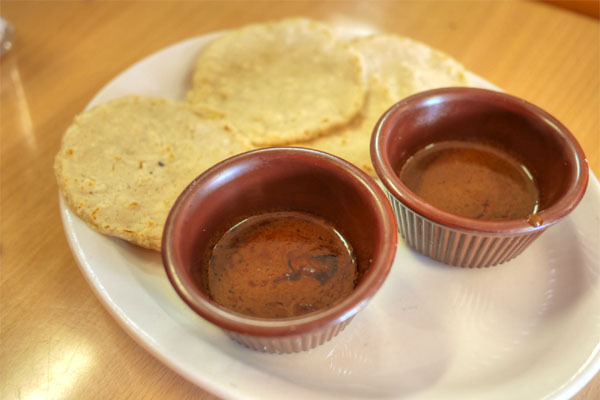 Lovely when taken with those miniature homemade tortillas. 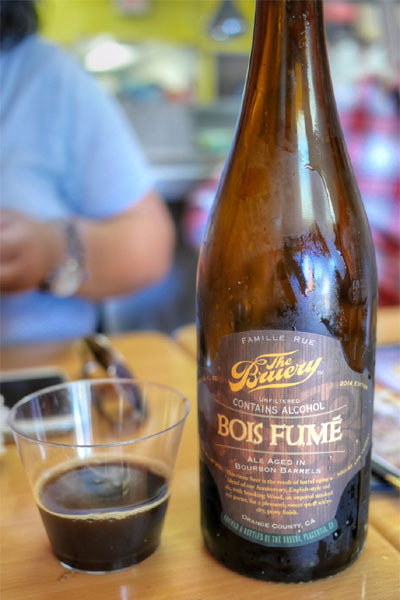 We BYOB'd it here, and I started things off with the 2014 The Bruery Bois Fumé, a bourbon barrel-aged blend of the brewery's Anniversary series English-style old ale and Smoking Wood, an imperial smoked rye porter. The result was a smoky, sweet, tangy beer with massive amounts of dark fruit that stood up to the mole. 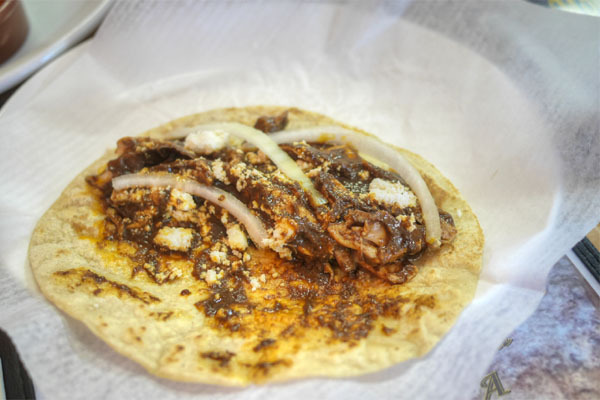 Our first course was a straightforward chicken taco featuring Mole al Chipotle, which showcased the mole's spicy depth against the backdrop of the bird. 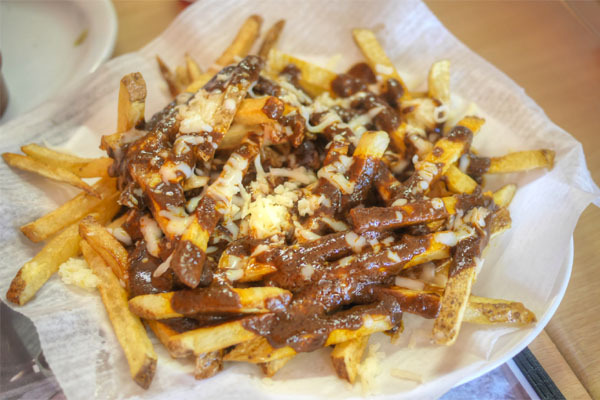 Here, Mole Poblano made for a fitting French fry topping, giving off sweet and savory and spicy nuances to pair with the cheese. 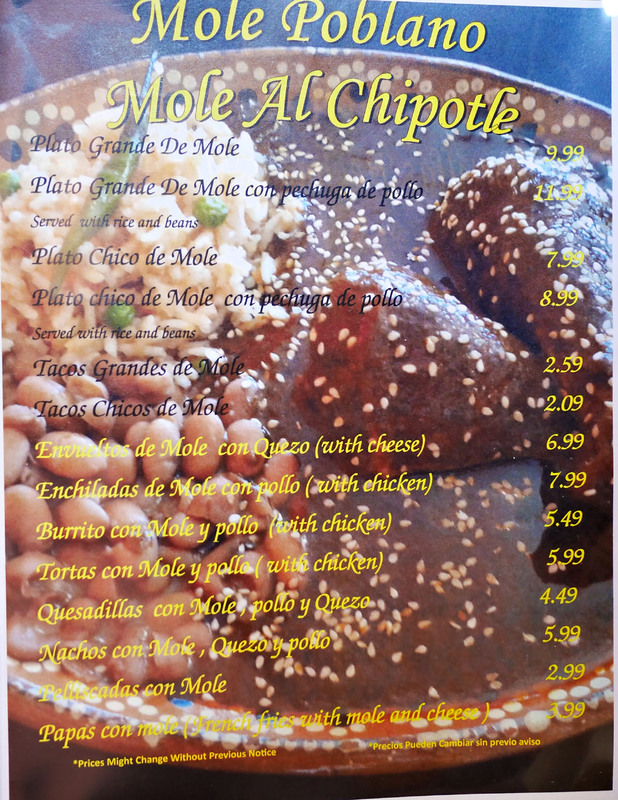 The dish was able to convey the inherent qualities of the mole without getting too trashy. 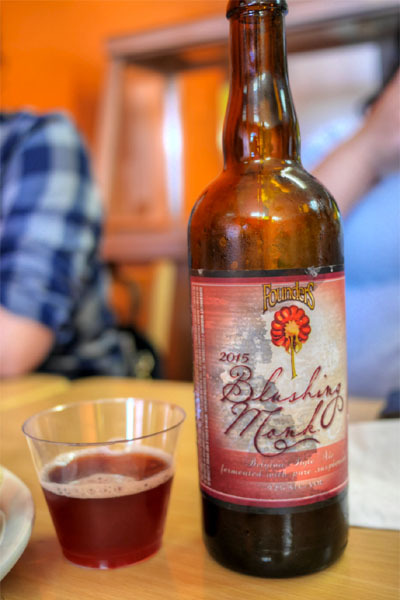 By far the sweetest beer of the day, the 2015 Founders Blushing Monk was a Belgian-style ale brewed with raspberries, recently released in limited quantities in March after a four-year hiatus (it was bottled in 2011 as Founders' first Backstage Series beer and also back in 2007). Super, super jammy and sugary on the nose, with more fruit, jam, and preserves on the palate. Perhaps the most fruit-forward beer that I'd ever tasted. 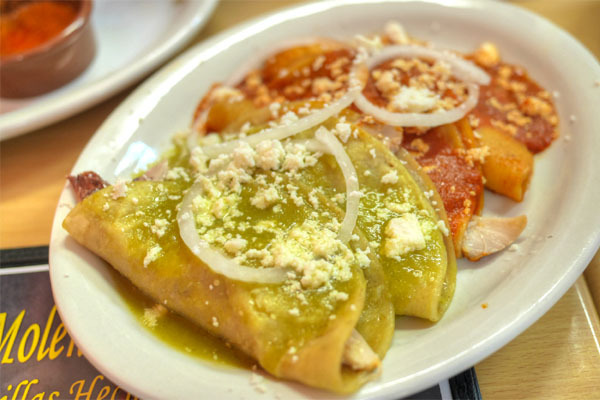 Enchiladas, meanwhile, were very good, with the amalgam of tortilla and chicken superbly complemented by the two types of pipián present. 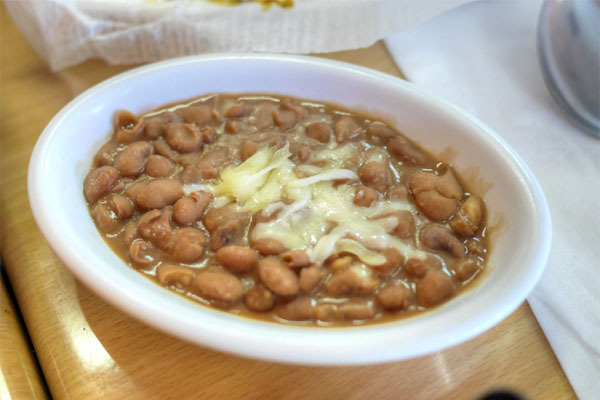 Along with the enchiladas came rice and beans, which were both also on point. 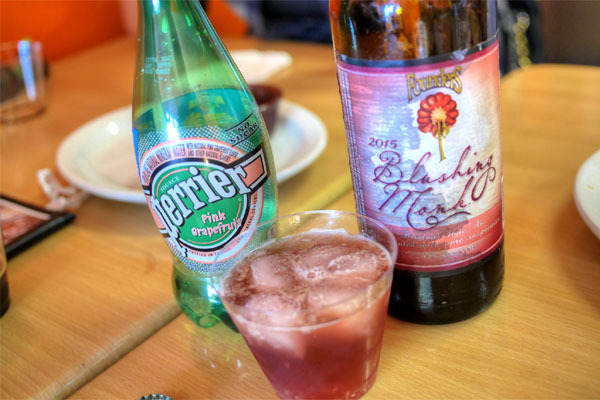 An impromptu cocktail commingled the Blushing Monk above with Perrier Pink Grapefruit and Las Moldenderas' own Chia Lemonade [$1.79]. It was a great combo actually, with the lemonade adding a countervailing tartness to the beer, and the Perrier an effervescence to the body. We were in a breakfast-y mood, and Feregrino was gracious enough to fire up some chilaquiles, which were no doubt some of the best I've had. 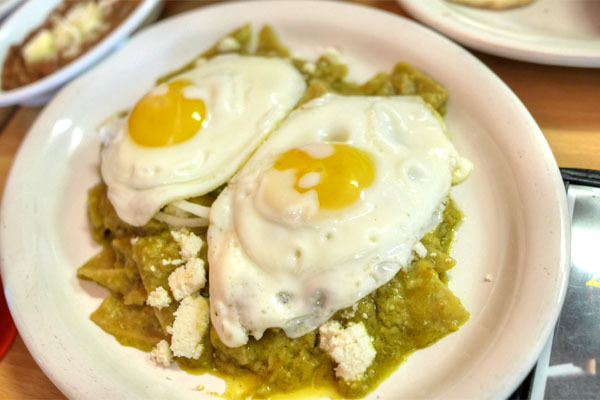 I loved the lightness that the Pipián Verde brought to the totopos, while the runny eggs just added a fantastic, enveloping luxuriousness to the dish. 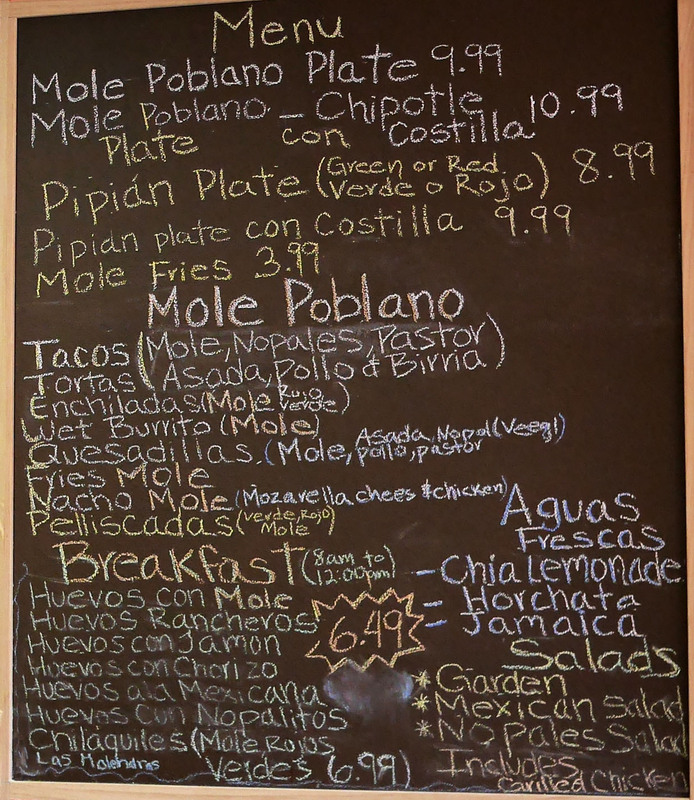 We ended with the mole nachos, dressed with both poblano and chipotle varieties. 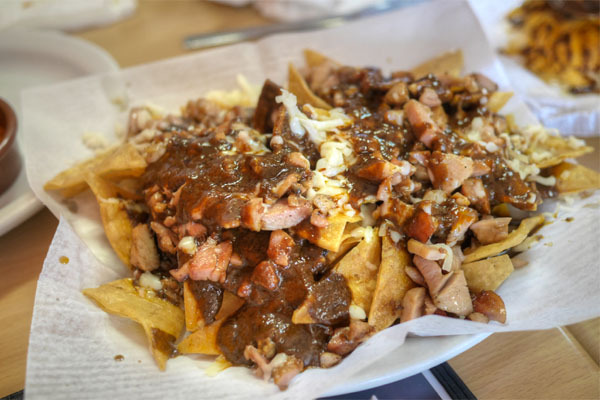 I liked these even better than the fries, with the meaty chunks of chicken, crunchy chips, and mozzarella serving as a great stage on which the two moles could really sing. 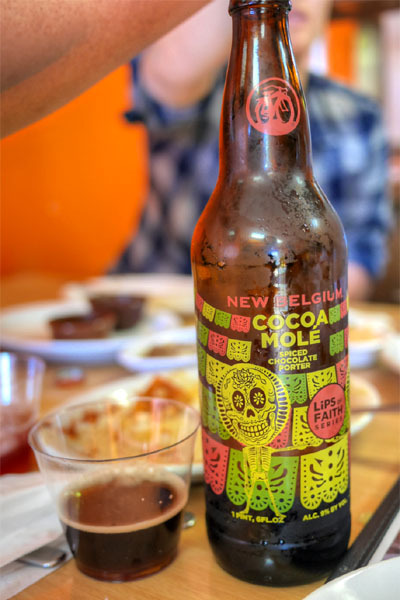 Our final beer was certainly apropos, the 2015 New Belgium Lips of Faith Cocoa Mole, brewed with chocolate, cinnamon, and chilies (ancho, guajillo, chipotle). This was a great blend of sweet and spicy over a base of classic porter-y goodness, one that really did recall the essence of mole. We had a lovely time at Las Molenderas. 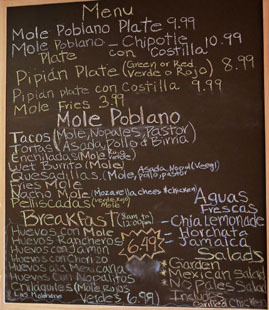 The moles and pipianes were pretty much spot on, and it was fun see them used in so many ways. A worthwhile new addition to the East LA scene. If you think Blushing Monk is fruit forward you should get your hands on New Glarus fruit beers. I'm laying mine down for a few months they're so insanely fruity.